Hah! Now that is awesome. And it's huge! My upscaled build of your design will look like 1:2 scale compared to this :D Good work on that! Thanks! E-mail me with any papercraft questions you may have. I am happy to help. Thank you very much. I've been a fan for a very long time and I hope you feel appreciated, because all of your work is wonderful. Keep up the marvelous work. Thank you so much for your kind words, Manny. 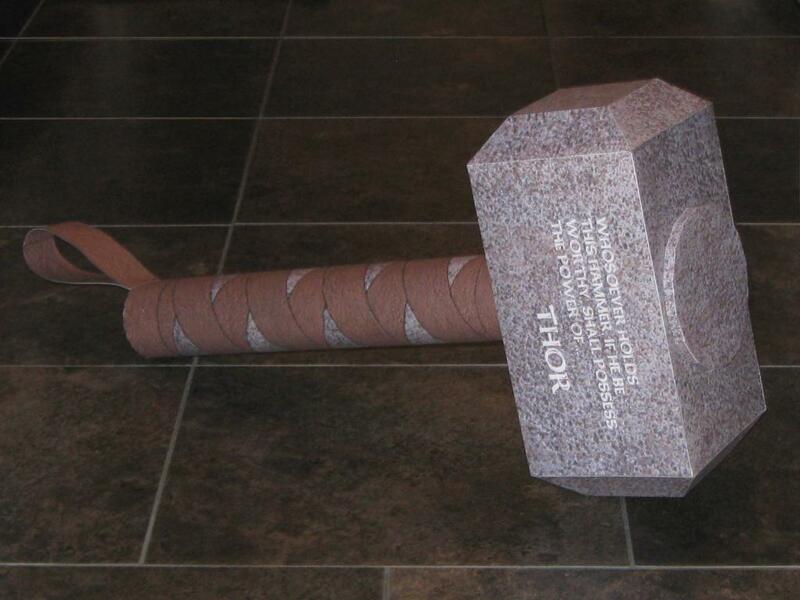 Can you make an Avengers Thor hammer? I just watched the movie and I wanted to build one and I knew you might have it because this is the best paper craft website in the world but you don't have the Avengers hammer so can you make one? I see you found the Avengers Thor hammer after you posted your message here. I also see that you have started some blogs of your own. Good luck!